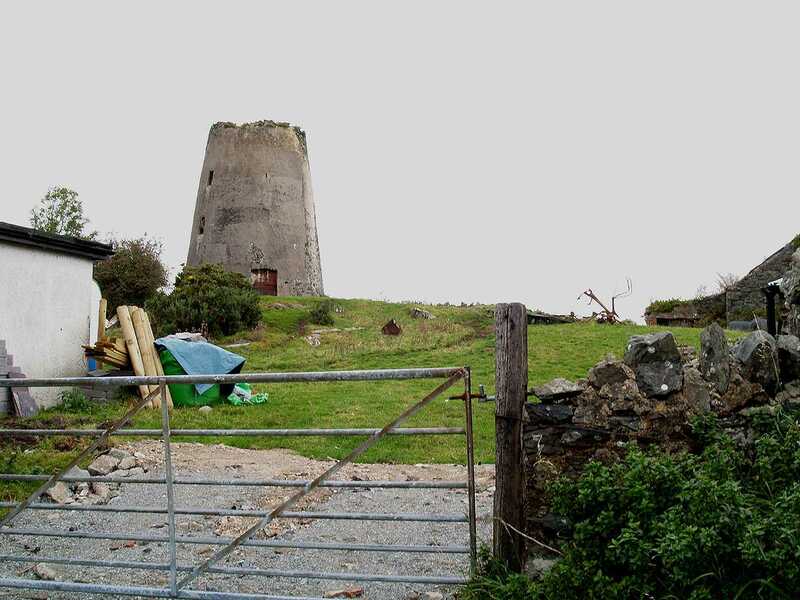 Gaerwen (formerly Llanfihangel Ysceifiog) Windmill - Melin Maengwyn (also known as Melin Y Bont) on the Isle of Anglesey (Ynys Môn) in North Wales. 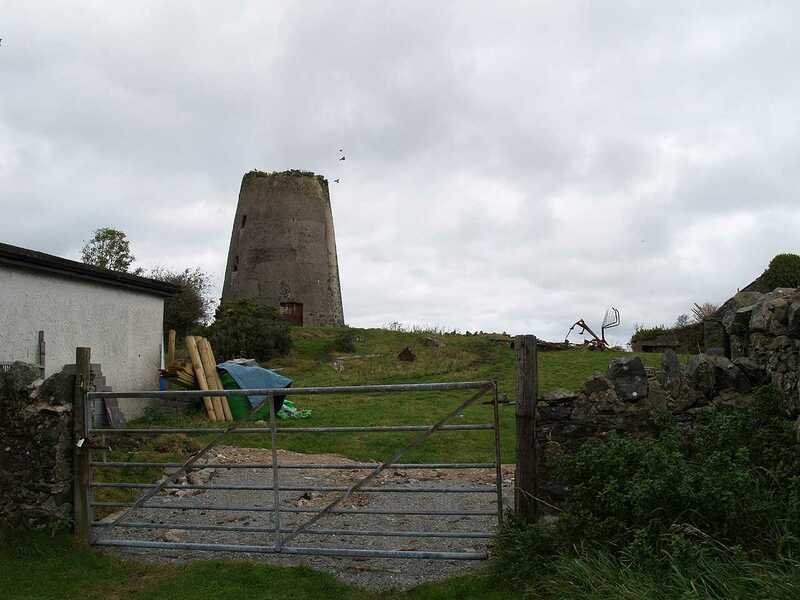 Gaerwen, Melin Maengwyn Windmill - Oct 2009. 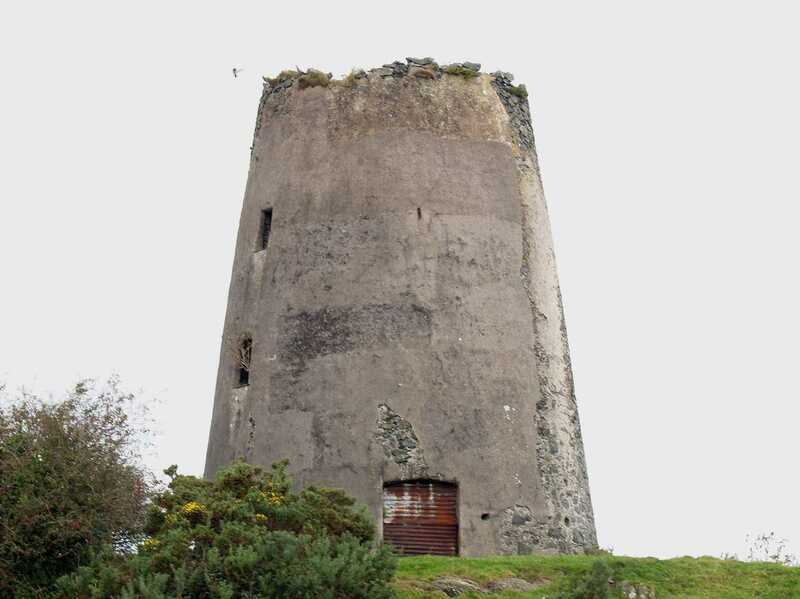 Melin Maengwyn Windmill started its' working life in 1802, and was forcibly stooped in a violent storm in the 1910's that caused damage that was beyond economical repair. I believe that the miller in 1881 was Rowland Williams, aged 43 and from Llantrisant. He was a miller, grocer, flour dealer, and farmer of 13 acres. 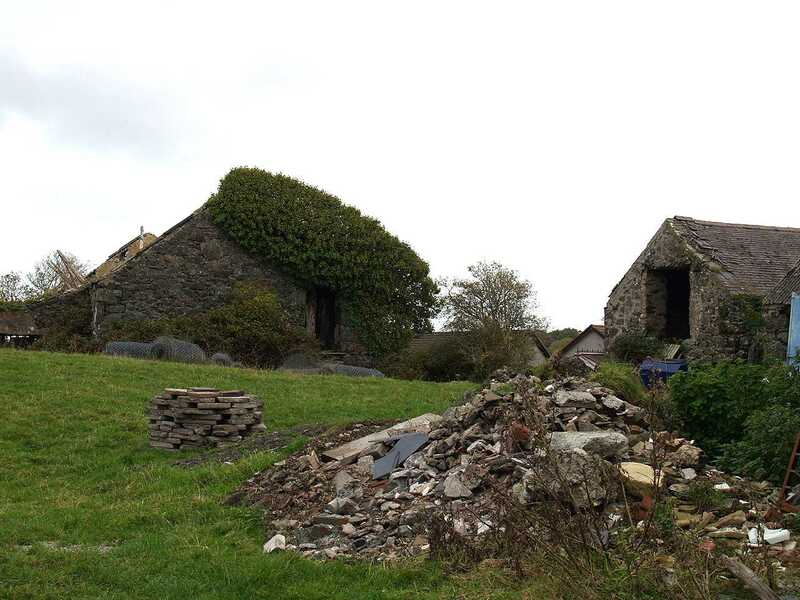 He lived in (Gaerwen Mill) with his wife and one servant. 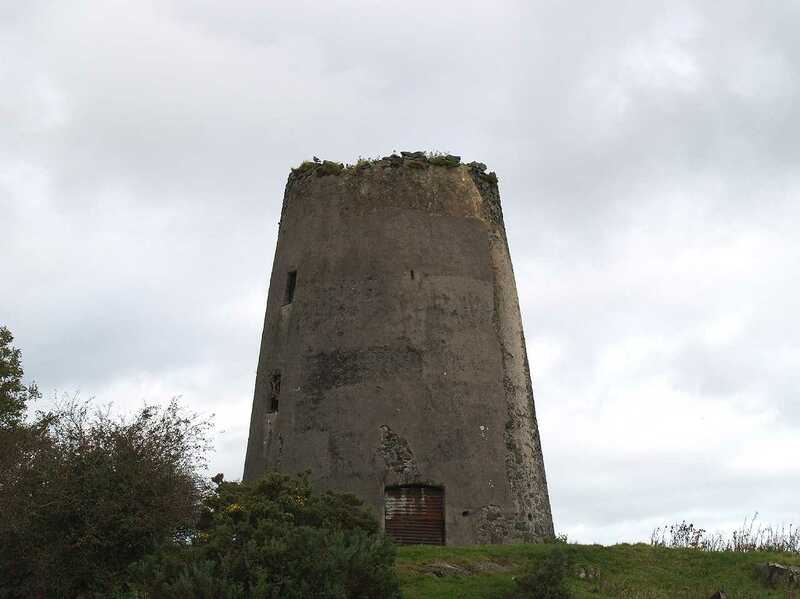 See also the other Gaerwen Mill. 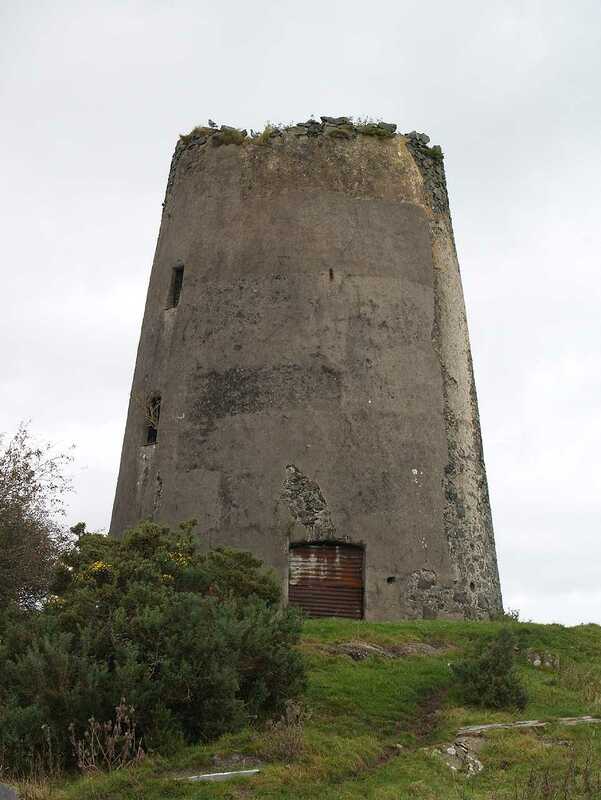 The mill is now privately owned by a local family, and they would like to help to preserve it in the future. In the meantime the mill is the roost of a flock of pigeons.